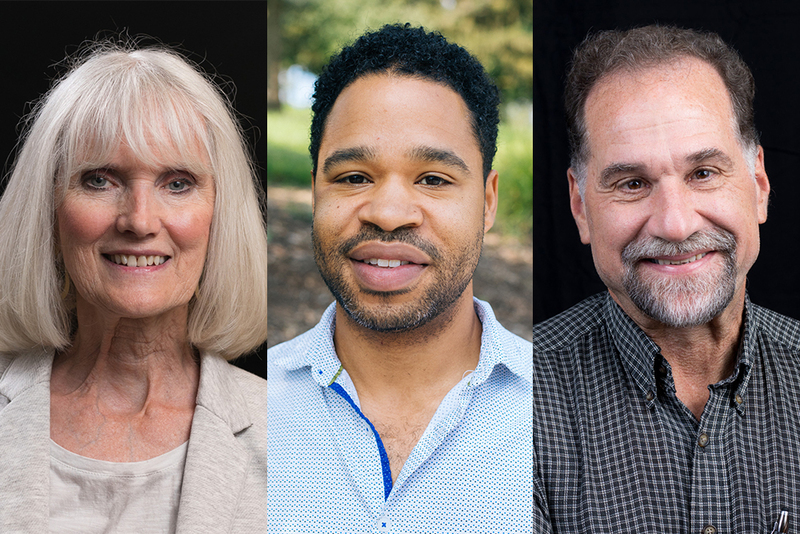 Eastern Mennonite University professors Judy H. Mullet, David Evans and David Brubaker will speak during Homecoming and Family Weekend's second annual TenTalks. The free event is at 2 p.m. on Saturday, Oct. 13, in the MainStage Theater in the University Commons. Three faculty members – Judy H. Mullet, David Evans and David Brubaker – will each have 10 minutes to “Impact. Influence. and Inspire.” and then all return to the stage for Q&A. Watch the 2018 Homecoming and Family Weekend trailer! The free event is at 2 p.m. on Saturday, Oct. 13, in the MainStage Theater in the University Commons. Homecoming registration is not required to attend. A complete list is of events and activities is on the Homecoming and Family Weekend website. Judy H. Mullet, a professor of psychology and graduate teacher education and a former school psychologist, will speak on “believing is seeing, not seeing is believing.” She received a bachelor’s degree in psychology from EMU, a Master of Education in school psychology from James Madison University, and a PhD in special education from Kent State University. Mullet has facilitated workshops in schools and churches across the U.S. in relational literacy and restorative justice among children, co-authored The Little Book of Restorative Discipline for Schools: Teaching Responsibility; Creating Caring Environments (Good Books, 2005), and authored recent publications in Children & Schools and Adult Learning. Her works on children’s peace literature and on inclusive worship have been published by agencies of the Mennonite Church. David Evans is associate professor of history and intercultural studies and the director of cross-cultural programs at Eastern Mennonite Seminary. His teaching and research focus on the braided identity categories of race, religion, and nation. Evans is the co-editor of the forthcoming book Between the World of Ta-Nehisi Coates and Christianity (Cascade, 2018). In concert with his teaching and scholarship, he practices a local “eco-lutionary” lifestyle that promotes an ecologically just future for the diverse people of the Shenandoah Valley watershed. David Brubaker directs the MBA program and serves as associate professor of organizational studies in the Center for Justice and Peacebuilding. He has 30 years of experience in workplace mediation and training and organizational and congregational consulting throughout the U.S. and in a dozen international settings. Brubaker has authored numerous articles on conflict transformation and Promise and Peril: Understanding and Managing Change and Conflict in Congregations (Rowman and Littlefield, 2009), and co-authored The Little Book of Healthy Organizations (Good Books, 2009). He earned an MBA from Eastern University, and a PhD specializing in religion and organizations from the University of Arizona.